Are you dying for sun-kissed hair? 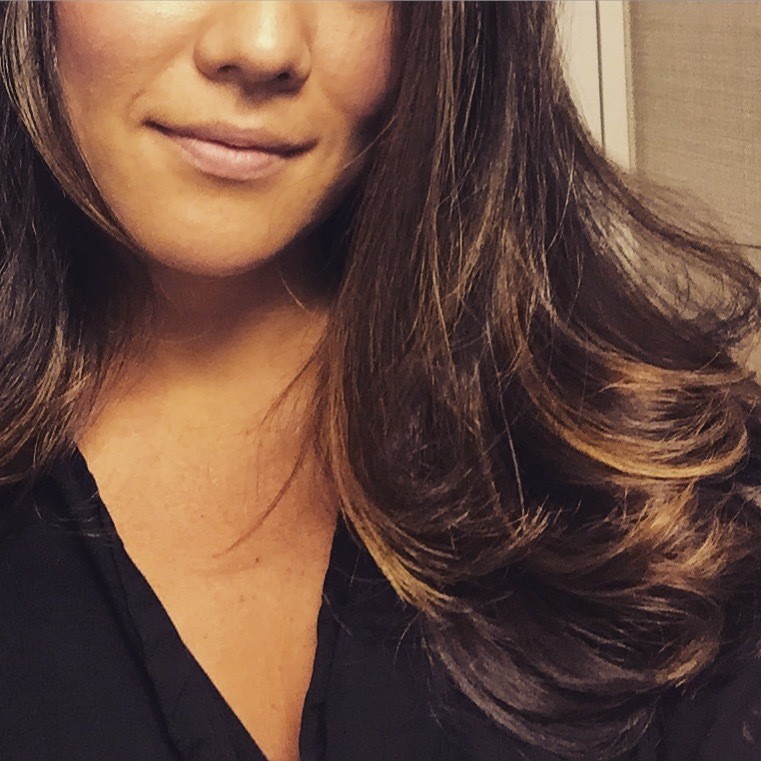 Balayage is what you need and the go to girl is Abby Haliti – this weeks #bosslady and mama! I was lucky to catch up with her before she jetted off to Kuwait for two days to work her hair magic! In addition to being one of the most sought after hair colorists in NYC, she has a huge international following and clients also fly in from all over the world to have their hair done by Abby. You are probably very familiar with her work as she has been doing Olivia Palermo’s hair for ten years. Abby Haliti has a list of celebrity clients such as Rita Ora, Jane Krakowski, Sigourney Weaver, and Leandra Medine of Man Repeller, to name a few. Haliti has been written up in VOGUE multiple times, The New York Times, InStyle, Allure and more. She is known for the French coloring technique known as Balayage which gives you that sun-kissed natural looking hair color that you had as a 5 year old girl when you spent your summers at the beach. Abby is a wife, mother of two beautiful girls, Brianda who is 18 years old and Adeena who is three. She is one of the most in demand hair colorists who is making a name for herself in the industry all while running a household too! How did you get into doing balayage and how long have you been in the business? I’ve been doing Balayage since 2006 and I was very lucky to meet amazing people throughout my carrier at L’Oréal Academy while working with some platform artists that taught how to master this craft and specialize in the Balayage Revolution. I’ve been doing hair for 19 years. People say, find a job you love and you will never work a day in your life. I truly am blessed, after all these years I still love it! How do you juggle being a wife, mom, work, along with having personal time for yourself? What advice can you give to other moms who struggle with this? Being a mom, wife, and career woman is very hard. Even if I am home, I am still working, but as mom. I have learned to become more present professionally, as a wife, and a mother. Organization is also key. If I am not in a good state of mind, nothing around me is. I therefore make a note to take care of myself doing yoga mixed with pilates, this is amazing for my body and soul. Standing all day at the salon can be exhausting, it is important to build strength. What can we find you doing on your days off when you are not at Julien Farel? When I’m off I love to cook and spend time with my family. I keep moments with my family very quiet. I never had the chance to be in the moment when I had my first child, so my second child gives me the momentum of being present. There are times that work requires me when I am at home. Clients often reach out to ask me about beauty advice or trying to do consultations with me via email. I also teach bayalage on my days off, because I am so passionate about what I do and the art. Who is your mentor and what is something you learned from them and practice to this day? Nancy Braun is my amazing mentor who I met while at L’oreal Academy, we call her the Queen of Balayage. I have been fortunate to have many mentors who taught me to be straight forward, listen and to be present when working with a client. Bottom line, we are here to serve one another, be compassionate with each other and help women, because we are truly super heroes! A client in NYC came in to see me, she said she asked three random people who did their hair, because she loved the color. All three people said my name. So she booked me! Clients have fallen in love with you and your work, and even flown you in to do a pop up salon. Where would you like to go next? I am fortunate to have worldwide referrals that allow me to travel abroad and do what I love! It truly has opened my mind and help me recognize that beauty is powerful and we all want to be touched by the best of the best within the industry. I have been so honored and lucky to experience different countries and cultures with my art. It would be a privilege to continue to explore Europe while providing women with the opportunity to look and feel their best. With a 15-year age gap between your daughters and with the times changing, how is motherhood different this go around? 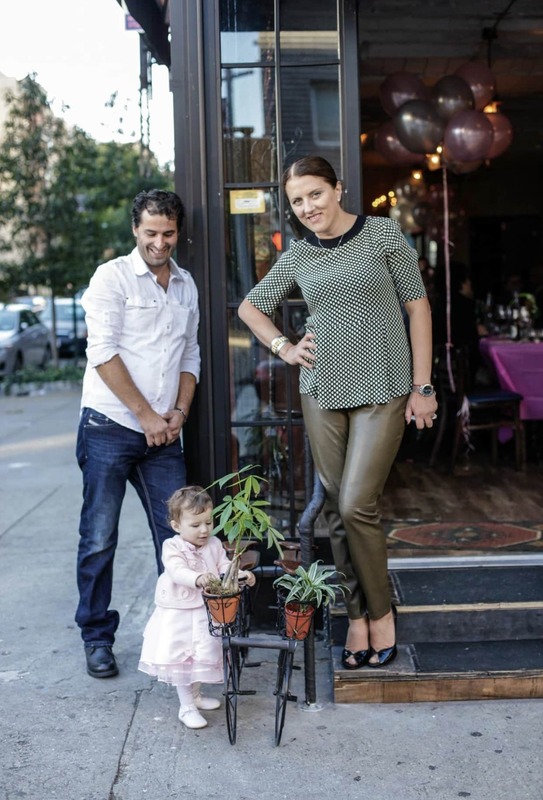 In my Albanian culture, having a daughter young was acceptable, but career wise, it was very hard. I was never home and my mom and entire family helped me. Now with my second marriage, I feel more settled in my career, settled in my mind and body, therefore am able to spend more time with my youngest at this age. My favorite spot is Dhërmi, an Albanian Coast that many people don’t know about, an amazing natural beauty place. What are your three-beauty cult must haves? What are the best drug store shampoo for colored hair and the best professional shampoo for colored hair? As far as a colorist, I don’t prefer drug store shampoo since I don’t recommend it to my clients for color treated hair. My favorite shampoo is Restore by Julien Farel and Intense Repair from L’Oréal since it’s very hydrating for highlighted hair. If you want sun-kissed locks, call Julien Farel Salon and book balayage expert, Abby Haliti. You can see more of your work on her instagram @abbycolorist. Julien Farel at Loews Regency Hotel 212.888.8988.